In a world of digital and electrical advancements, it's still very hard to beat a good thick solid steel bolt deadbolt lock. No matter what type of front or back door you have, it is important to ensure it is well protected by reinforced locks that are incredibly difficult to bypass. Here we explore 3 reasons for everyone to consider having a deadbolt fitted to each and every door that grants access to their house or building. Most modern deadbolt locks will feature a bolt that is around 2 inches thick or more. The sheer strength of this thickness has many advantages. The main one being the fact that it is impossible to simply power through. Standard locks with bolts that are much slimmer can be forced open by a human being. 2 inches of steel will withstand anything that a person can throw at it without much trouble at all. To rip through this thickness, someone would have to use heavy duty power tools. The thickness acts as a huge deterrent and criminals that determine you have one will typically prefer to move on to targets with weaker lock defenses. Steel locks have been in production for almost as long as steel has been a mass produced material. They are everywhere, very easy to find, come in all shapes and sizes and can be worked on by all locksmith experts. These facts make this type of lock very easy to acquire, as well as extremely affordable to buy. 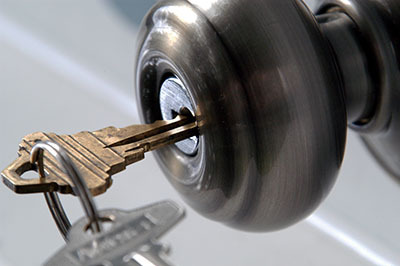 If you ever need repairs done by a local locksmith or a lock change in future,any expert will have no trouble working on your lock and will likely have a range of suitable replacements on hand. There are certain benefits to keeping devices that are so very simple. Children, the elderly and even those with sight disabilities will all be able understand and learn to use such a lock in a relatively immediate time frame. As opposed to having a far more technological system that would take such members of the household far longer to comprehend. They are also far easier to work with in term of lock maintenance. More advanced lock systems can need reprogramming or advanced knowledge from a trained professional to reconfigure and adjust when things go wrong. 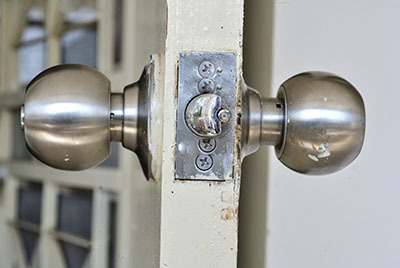 Deadbolts can benefit from a slight lubrication now and then, but apart from that need very little work or understanding to maintain.